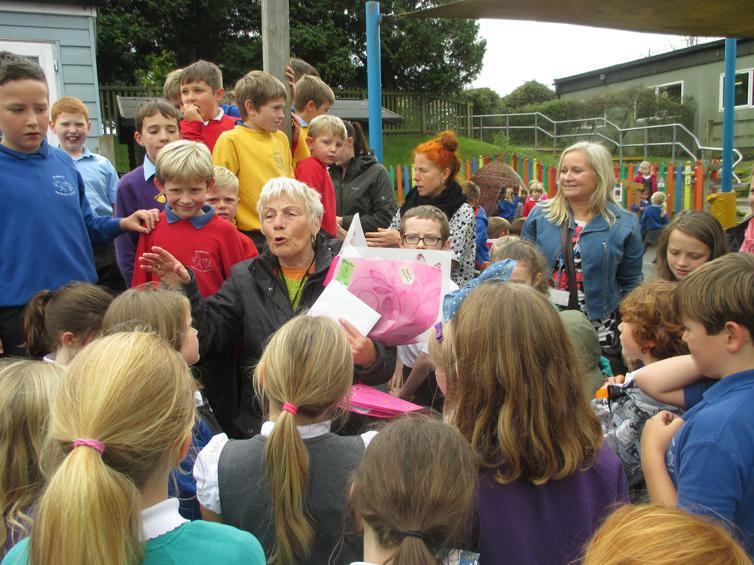 After sixteen years of bearing the weather, clearing dinner plates and facilitating play Mrs Fletcher has decided to hang up her whistle and retire. 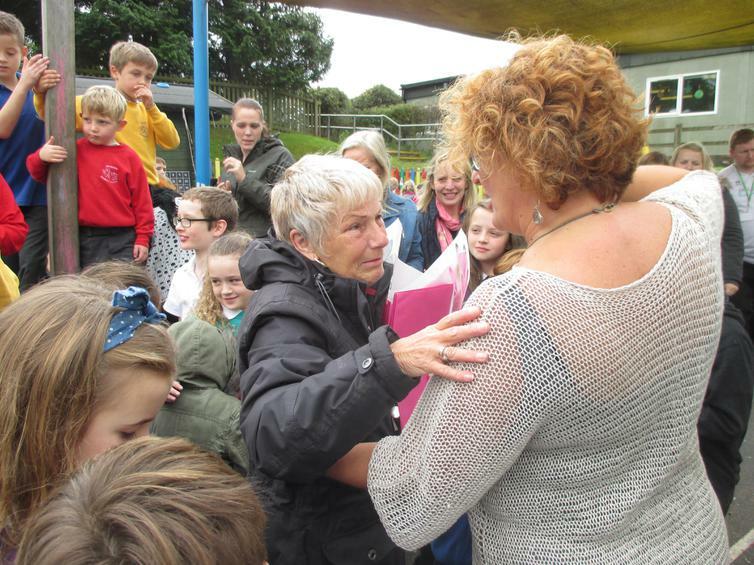 As you can imagine she has helped many a children with the routines, and manners, expected at lunch time. 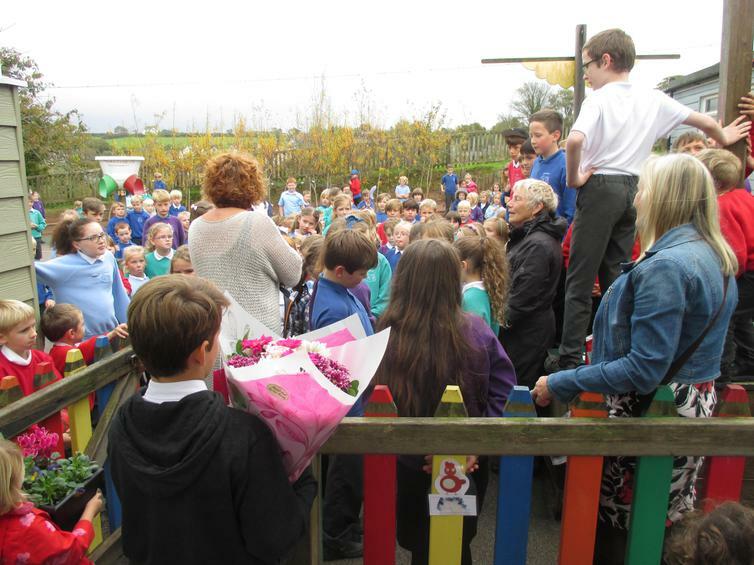 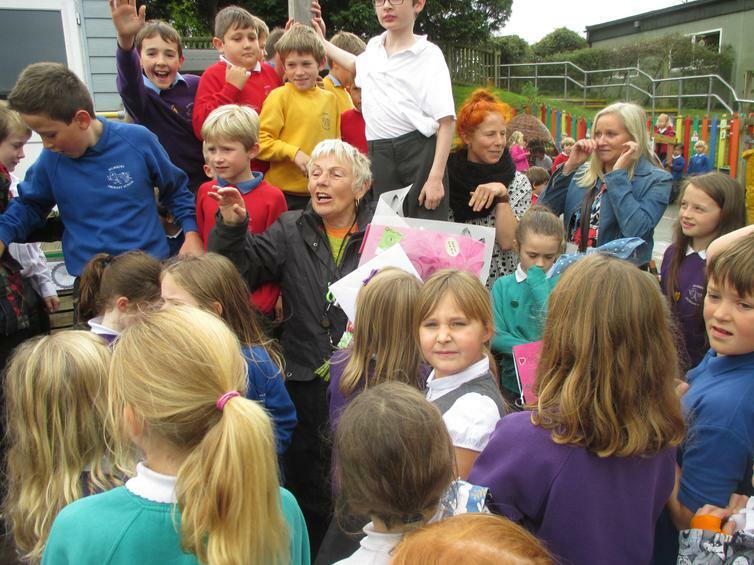 There were tears and cheers, of well done from the staff and children, and tears and more tears from Mrs Fletcher! 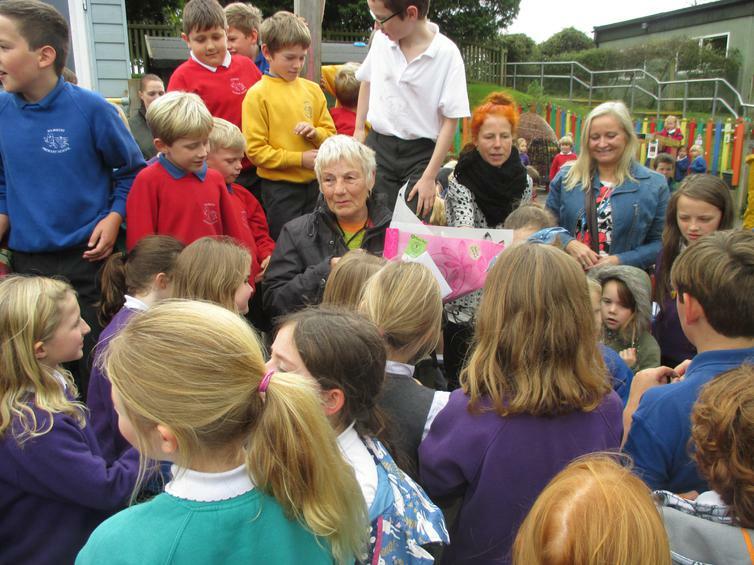 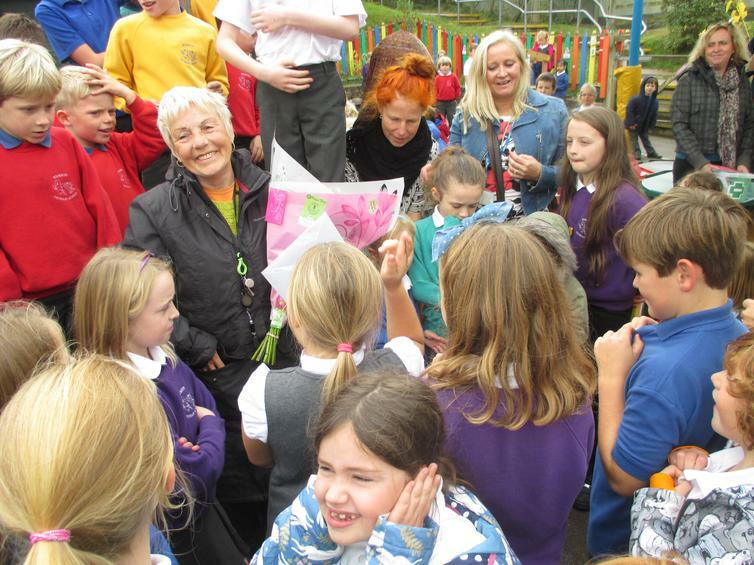 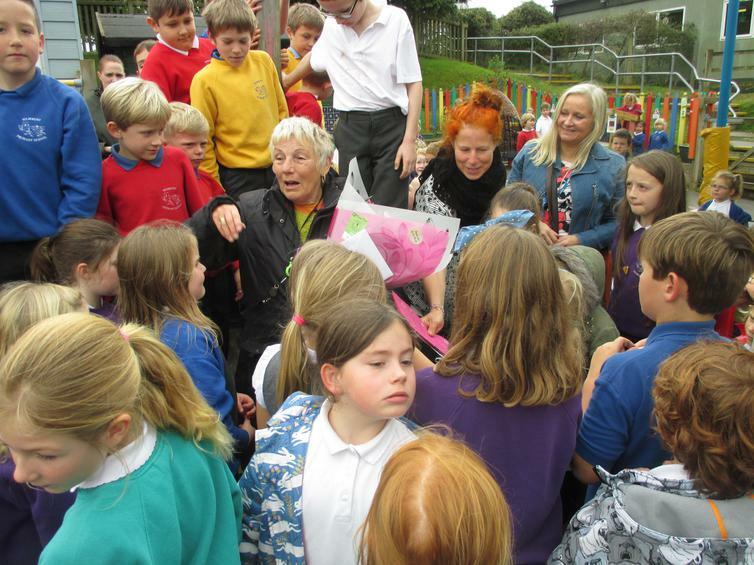 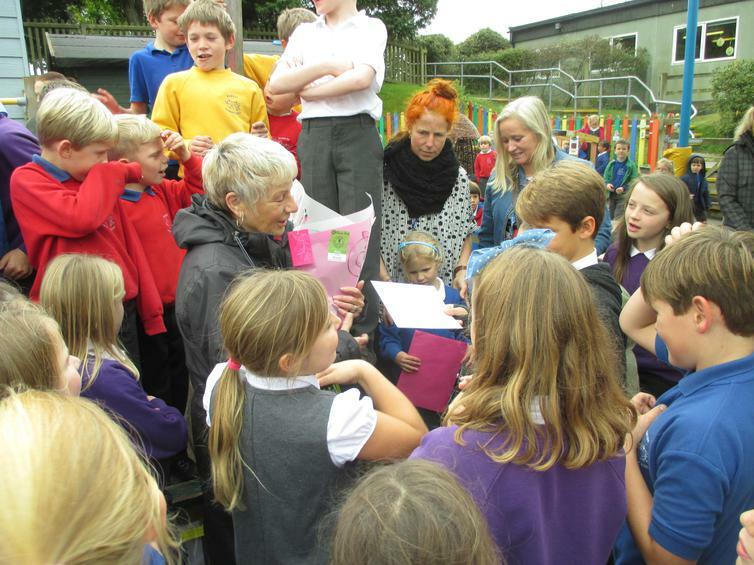 She will be greatly missed and we wish her all the very best in her retirement and thank her for all that she has done.